There are several types of B2B products. Classifying them is important as it aids in developing strategies: each type of product is unique. The types of B2B products provide basic direction for the respective strategy choice. 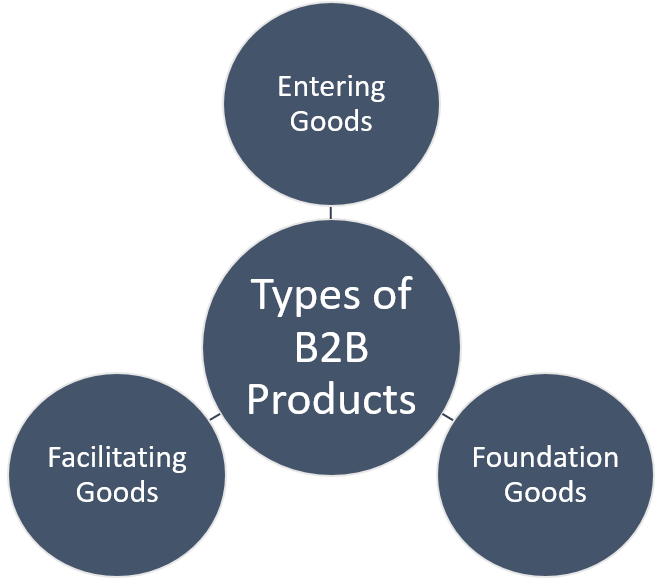 There are a number of ways of classifying B2B goods. All are entirely different than consumer goods classifications, which are usually divided into convenience, specialty and shopping goods. The classification of business-to-business products works differently: From a B2B point of view, goods are divided by the use to which they will be put. Entering goods and services – These are products and services that become part of other products. We are referring to raw materials, component parts and materials. Examples of this type of B2B product include steering wheels for an automobile, lumber or metallic ores, formed parts or electronic products like integrated circuits. From the accounting perspective, entering goods and services are usually expensed rather than capitalized. Foundation goods and services – These are products that are used to make other products. This includes installations and accessory equipment. The former are items like offices and buildings and the latter are machine tools. In contrast to entering goods and services, foundation goods do not become part of the end product. While the majority of them are capital items, some foundation goods can also be expensed. Facilitating goods and services – These are products and services that help an organization achieve its objectives. In other words, they assist and support. Facilitating goods also do not enter the product or even the production process. Generally speaking, facilitating goods and services are expensed rather than capitalized. Examples include market research services, cleaning supplies and copiers. Facilitating goods can be divided into supplies and business services. In this category are items which are often characterized as (maintenance, repair, and operations). The different types of B2B products obviously require different strategies. Classifying business goods therefore aids in developing strategy for the business marketer.